Go on a cruise in Canada on the St. Lawrence for a complete change of pace! In addition to the various international cruise lines that make stops in the maritime regions of Québec, two ships regularly cruise the waters of the St. Lawrence. The MV CTMA Vacancier travels from Montréal to the Îles de la Madeleine, while the MV Bella Desgagnés gives you the opportunity to discover the Minganie area and the Lower North Shore as well as Anticosti Island. Get out your binoculars! During a cruise on the St. Lawrence you can not only soak up Québec scenery you would never otherwise see, but also admire whales, seals and seabirds. From Rimouski, board the Bella Desgagnés supply ship, which will take you to the Lower North Shore. During this St. Lawrence cruise, you will have the opportunity to explore this remote area of Québec that is only accessible by boat or plane. 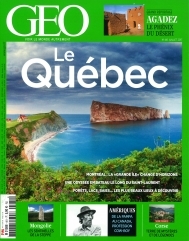 During a St. Lawrence cruise aboard the CTMA Vacancier from Montréal to the Îles de la Madeleine, enjoy a six-hour stop in Gaspé, at the tip of the Gaspé Peninsula. 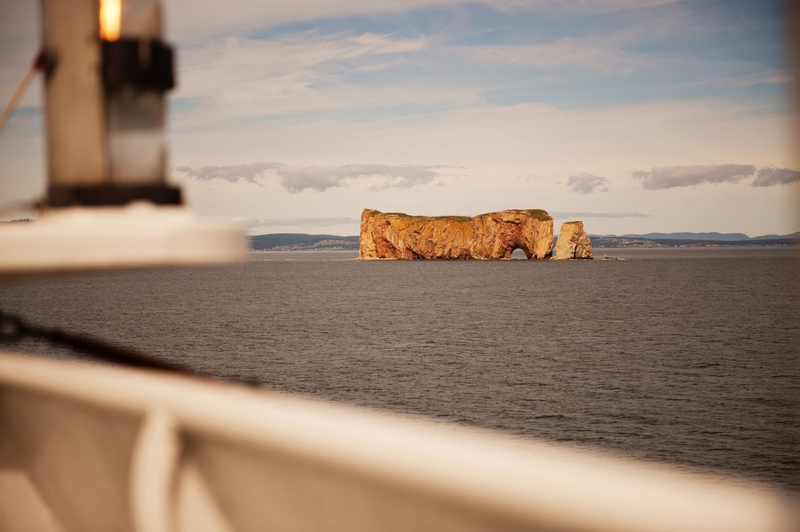 From there, a shuttle can take you to Percé or Forillon for various excursions. 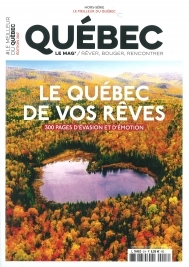 Take advantage of this opportunity to visit a magnificent region of Québec. 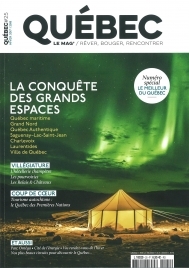 Aboard the Bella Desgagnés supply ship, explore the Minganie area of Côte-Nord as well as Anticosti Island and the remote villages of the Lower North Shore. This cruise in Québec is a rare opportunity to admire scenery you will never forget. Be sure to pack your camera! The CTMA Vacancier makes weekly trips from Montréal to the Islands and back all summer, including stops in Québec City and in Gaspésie. This cruise offers a unique opportunity to admire Québec scenery from the middle of the majestic St. Lawrence. Inquire about the many packages available.